After Kwikset produced a stylish new e-lock called Kēvo, we saw other companies come out with electronic locks like the Danalock by Poly-Control and The Yale Real Living Touchscreen Z-Wave Deadbolt. They’ve all drawn wide interest. Now it’s the Goji Lock. We’ve reviewed it. Let’s see how it stands up. 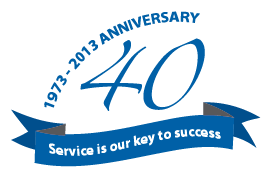 E-keys are special because they improve upon the faults that traditional keys have. You cannot lose them and then permanently compromise your security, for one. And, if you’re late to come home to meet someone like a family member or a friend, you can send them an e-key and tell them to make themselves at home before your arrive. You can retract the e-key at anytime if you feel compromised as well. Traditional keys cannot offer these options. E-keys significantly improve on these points. The Goji lock is all smartphone capable and doesn’t need wifi access to be used. The good thing about the Goji lock is that it has 24/7 support, so that if a phone is lost your locks won’t be vulnerable once you’re able to get into contact with a technician. But, the Goji is, to us, just another e-lock. The specs and technology are still mild in comparison to the Yale Real Living Touchscreen Z-Wave Deadbolt and its other competitors. And, the price point is significantly higher as well. Extra key fobs are $45 apiece. Overall the device isn’t nearly as interactive or user friendly as other products on the market. Yes, the ability to send keys, and allow certain time access is attractive, but we think the Yale Real Living Touchscreen Z-Wave Deadbolt is still too pretty for this Goji attempt. 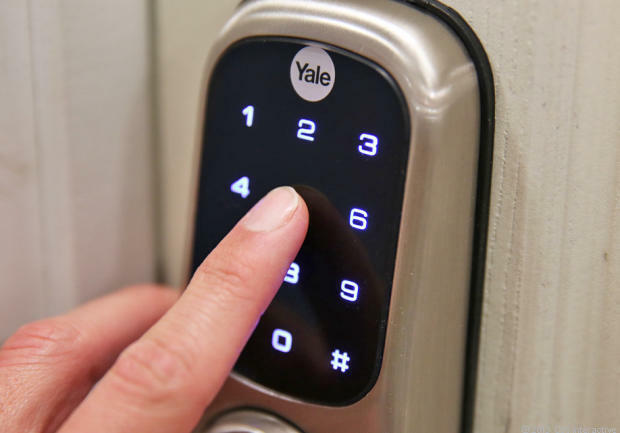 The Yale Real Living Touchscreen Z-Wave Deadbolt system is sharper: The Yale Real Living Touchscreen Z-Wave Deadbolt system is able to tell when the user is inside or outside and operates accordingly. If you have to go to the door for instance, it won’t unlock on you from the inside. It’s bump proof, pick proof and has an awesome mobile interface. The keyfob puts this product over the top should the long battery life begin to put-put. In light of this circumstance, a notification is sent when the batteries should be replaced. Overall the Yale Real Living Touchscreen Z-Wave Deadbolt system really sparkles visually and functionally and we like it much better than Goji.